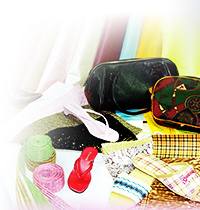 We are a professional supplier of Synthetic leather (PU / PVC) in Taiwan and China. Over the past 15 years, YI ONE has been committed to providing Synthetic leather, PVC coated Oxford, the relative shoe / bag / furniture / garment material, PVC film, Shower curtain to the customer all the world. We distribute our products over 60 countries to contribute to our customers through application of research, design, manufacturing and sale of products. Due to our good service and responsibility, we have won a very good reputation in the market. We supply Synthetic leather, PVC coated Oxford, the relative shoe / bag / furniture / garment material, PVC film and Shower curtain with competitive advantage, high quality, low prices, and good customer service. Our ability to minimize manufacturing costs while maintaining high quality is the reason we can offer you low price. To expand our product lines, in 2006, we join in Hand tools industry and Dentistry. The Hand tools and Dental Equipment are with innovatiion, high quality, cost effective products.